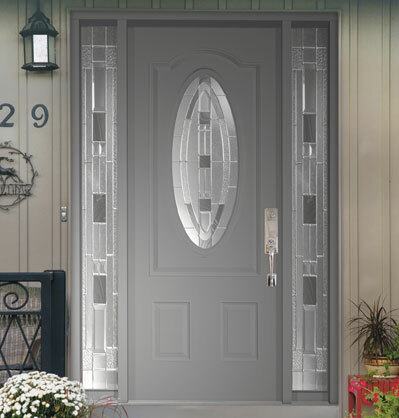 Our steel door comes with a factory-applied, prefinished white, durable surface - no initial finishing is required on the door panel. High-Definition Panel Profile features a high-definition panel profile creating excellent shadow lines and distinct panel designs. 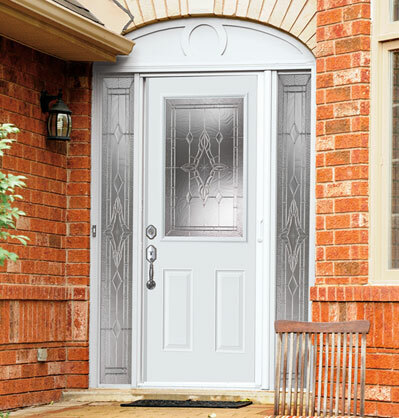 24-Gauge Galvanized Steel Door facings are made of 24-gauge steel for strength and durability. 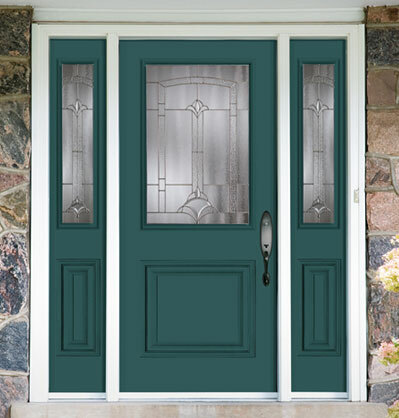 Wood Edge Construction Wood-Edge steel doors feature lock stiles made from laminated lumber providing excellent dimensional stability. - maximizing strength & durability. Rot-Resistant Bottom Rail A high-performance, composite material is utilized on all bottom rails, providing excellent rot-resistance. 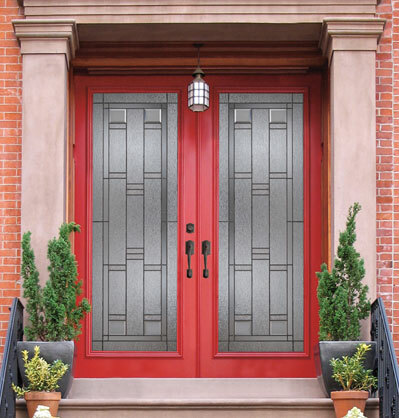 Glass Inserts All decorative glass inserts feature a triple-pane 1" insulated assembly providing maximum design selection and performance. 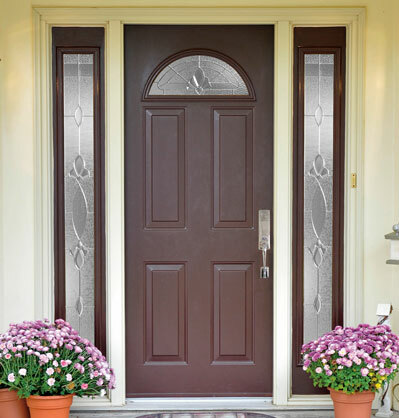 Double-pane clear glass options are also available. 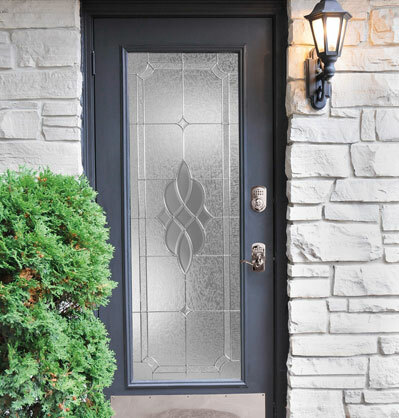 Elite Series Gripsets - Inspired by the clean lines and understated elegance of classic Canadian architecture, the Elite Series brings glamour and simplicity to your front entrance. 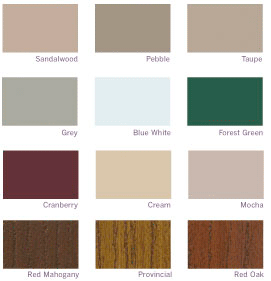 Choose from one of our seven optional finishes to make a dramatic statement for your home. Florence, Monaco and Venice - For a timeless appeal the Heritage Series combines ornate curves with a hint of contemporary boldness. 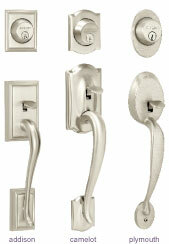 Whether you prefer a sweeping handle or prominent knob, the design harnesses old-fashioned workmanship. 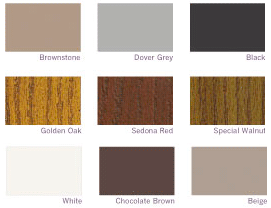 Choose from one of our seven optional finishes to make a dramatic statement for your home. 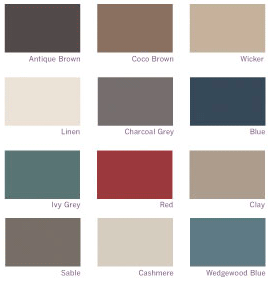 Available for Elite and Heritage Series as Passage Kits, Keyed Passage Kits or Interior Trim Kits. 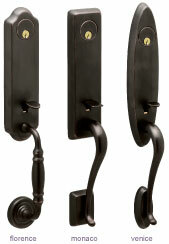 Choose a personalized finish for your handle set to add unexpected charm to your decor. 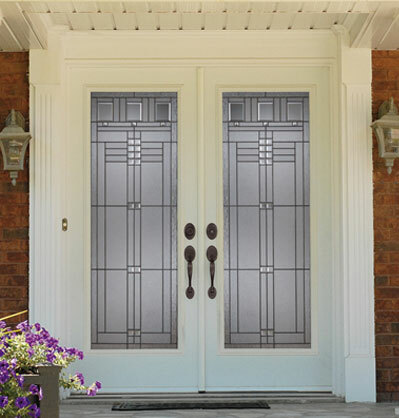 With seven optional finishes, pick from antique to modern for a stylish entryway.